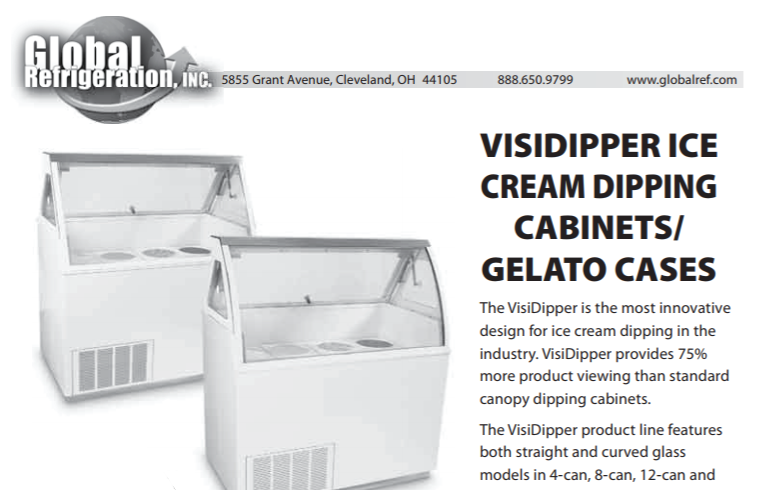 VISIDIPPER is the most innovative design for ice cream dipping cabinets in over 30 years. The 4-1/2″ lower glass on the customer side allows for increased viewing/display area promoting impulse sales.The lower glass provides 75% more viewing area than a standard ice cream dipping cabinet. It features a unique air piston assisted, tempered, scratch proof service -side lid for no hands easy opening.The VISIDIPPER product line is available in straight and curved glass models.